Microsoft’s “App Store” trademark dispute with Apple has stepped up a level after it was revealed the Redmond-based company is seeking to have Apple’s brief thrown out because it is “printed in less than 11 point font”. Yes, you read that right, Microsoft is accusing Apple of changing the font size of the text to include more arguments against its move to block the trademark of the term “App Store”. 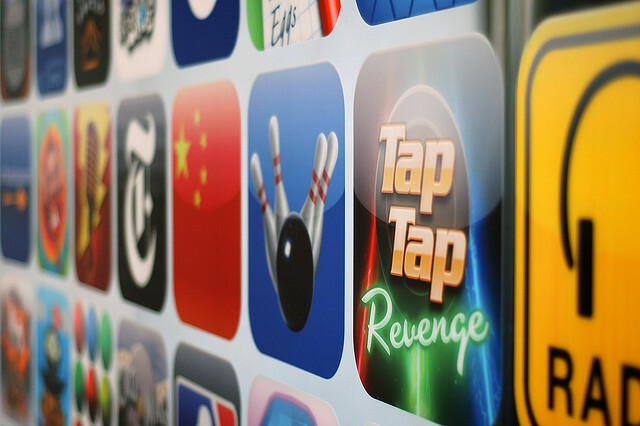 It all started when Apple filed a claim to trademark the term ‘App Store’. The company is looking to prevent its rivals from using the same term for their own stores. Microsoft challenged the claim, arguing that the term is a generic name, a name that it believes Apple can not lay exclusive claim to. It stated that “undisputed evidence shows that ‘app store’ is a generic name for a store offering apps” suggesting that “any secondary meaning or fame Apple has in ‘App Store’ is de facto secondary meaning that cannot convert the generic term ‘app store’ into a protectable trademark”. According to Microsoft, ‘App Store’ is generic, in the public domain and free for anyone to use. Apple then hit out at Microsoft, stating that the Redmond-based company was “missing the forest for the trees”, in its assertion that the public refers to an app marketplace on each individual mobile ecosystem app platform using the same term. Apple aimed straight for Microsoft’s Windows trademark, suggesting that the company itself had faced a decades-long genericness challenge to its claimed WINDOWS mark. Apple’s legal term argued that Microsoft demonstrates that the term “App Store” could describe the “nature of Apple’s online software marketplace” but “it falls far short of proving by clear and convincing evidence that a majority of the relevant public uses the term App Store generically for any online software marketplace”. The company even offered testimony from a “renowned lingusitics expert”, Dr Robert Leonard who, when presented the empirical evidence, concluded that “the term App Store is a proper noun to refer to Apple’s online marketplace” – put simply, he thinks the public refer to the ‘App Store’ knowing that it associated with just Apple. Microsoft is calling for the case to be thrown out – in reality Apple will probably be asked to submit another brief that adheres to the laws of the court. With the brief resubmitted, the decision lies with the USPTO Trademark Trial and Appeal Board, which will need to rule on whether Microsoft has a significant case to warrant trial, or whether the case should be dismissed.